Asheville poet, Alida Woods will read from her collection on Friday, July 20th at 6:30 p.m. at City Lights Bookstore. “Disturbing Borders is filled with wonder(s). This is a collection of unique homecomings in which “borders” take on the many expectations both made manifest and broken, and promises reknit into stronger fabrics. The reader follows happily through literal and figurative landscapes of shadowy tints that only Alida Woods could create,” said Katherine Soniat, author of Bright Stranger. A native of New England, Alida Woods lives in Asheville, North Carolina. She has spent her life among school children as a teacher, school principal, and mentor. Her poems have appeared in The Avocet, The Great Smokies Review, The Westward Quarterly, Front Porch, and The Amsterdam Quarterly. Franklin native and resident, Merrilee Bordeaux will read her poetry on Saturday, June 16th at 3 p.m. Her collection, A Song of Life and Other Poems focuses on fond memories and family. Maura Finn will visit City Lights Bookstore on Friday, May 4th at 6:30 p.m. She will present her bilingual poetry collection, Architect of the Divine. The book is a journey through the heart, restoring it and bringing us back to the love that we are. The poems have the power to transform, uplift, inspire and encourage. They can be used as a map, as medicine, or as meditation. For those who are called to receive this medicine, this universal story of awakening and heart healing is waiting to be told. 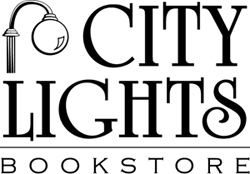 Robert Lee Kendrick will return to City Lights Bookstore on Saturday, May 12th at 3 p.m. He will read from his new collection of poetry, What Once Burst with Brilliance. His poems have been featured in Tar River Poetry, Xavier Review, Louisiana Literature, South Carolina Review, Kestrel, The Cape Rock, The James Dickey Review, The San Pedro River Review, The Sow’s Ear Poetry Review, and The Main Street Rag. His first chapbook, Winterskin, was published by Main Street Rag in 2016. Arts Regional Theatre, emceeing events at Folkmoot festivals and teaching creative writing courses through Haywood Community College. As a writer-in-residence based in Raleigh, he teaches poetry and creative writing workshops throughout the state and serves as the director of the NC Poetry Society’s student contests and the Gilbert-Chappell Distinguished Poets Series. To reserve copies of Primer please call City Lights Bookstore at 828-586-9499. M. Scott Douglass will visit City Lights Bookstore on Saturday, October 21st at 3 p.m. to read from his new collection of poetry, Just Passing Through. The author of four other collections of poetry, Douglass is also the managing editor and book designer for Main Street Rag, the publishing company he helped found in 1996. His poetry has appeared in Asheville Poetry Review, Gargoyle, Iodine Poetry Journal, Midwest Review, North American Review and others. To reserve copies of Just Passing Through please call City Lights Bookstore at 828-586-9499.